Bring it on I say. Just ran up to Publix-98 on the car thermometer . It's flippin HOT!! Just ran to the store and couldn't wait to get back home! Saw on Mike's page that there was bad weather around Jax. Scattered thunderstorms are expected mainly this afternoon. Good Sunday Morning folks!! well another HOT and possibly dry day be me again. we'll see if any Possible showers make it to MY area lol..boy sure could use some rain to cool things down huh..well have a great day everyone!! Morning. Not much action here yesterday. All the storms stayed north or west. Had a brief shower that dropped .04" - barely enough to wet the street. At least it stayed cloudy for a few hours to cool the temps a tad. Good luck on some rain all. Looking at radar early morning seems there is virtually no steering in the northern half of the state. Might need a storm to literally pop overhead to get some rain. StAugustineFL wrote: Looking at radar early morning seems there is virtually no steering in the northern half of the state. Might need a storm to literally pop overhead to get some rain. ok good luck Aug..if no rain gets to me today sprinklers on this evening for sure. gee this toxic algae might be getting real serious newspapers are saying,i wonder if its a fatal threat too for humans? 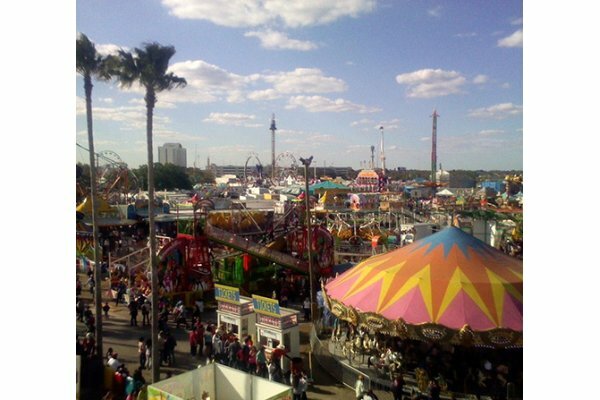 The annual celebration of sharks and other marine life returns for a fifth year at the Florida State Fairgrounds. Good afternoon everyone. Another dry, hot day . Getting old! I stayed inside and did some fun things like clean the bathrooms and laundry. It is a shame about the algae problem .I wish the powers that be would just leave Lake O alone! Don't mess with Mother Nature . Ugh, I hate indoor chores! Had a storm pop overhead and it turned into a good one. Lots of cloud-to-ground lightning, strong winds, and heavy rain. Not sure what the gauge tally is as it's still raining with some occasional thunder but has to be easily over an inch. It was needed since only .65 had fallen the first half of the month. Edit: Rains are done, skies are clearing. Checked the gauge. 1.87" from the storm. StAugustineFL wrote: Ugh, I hate indoor chores! Scattered mainly afternoon thunderstorms are expected. Scattered to numerous thunderstorms are expected each day. Spotters should monitor the weather and self activate if needed. lightning, and brief gusty winds. region. Lightning will be the main hazard. GOOD MONDAY Morning folks! !..guess its back to normal weather here once again..HOT and HUMID huh LOL..well Blogs COFFEE etc will be ready when you get here..grab a cup and talk with us awhile...have a wonderful day everyone!! overnight GFS model 2 1/2 weeks away but model is telling us..be prepared storm wise..August is fast approaching huh. I had a storm late afternoon Saturday. Got .72 in the bucket in 15 mins. That's just nuts!!!! Nothing Sunday. 2.70 for the month so far. Have a great day all!!!!!! Just walked my dogs in the park, hot and humid here but..in looking at the clouds out in the gulf and wayyyy up they are in the sky..mights be some strong Thunder Storm's later on today..good luck to who does get the rain!! Bethune Beach, or near Oak Hill, drifting northeast at 5 mph. as other storms along the coast near Ponce Inlet and Scottsmoor. Port Orange, New Smyrna Beach, Edgewater, Oak Hill and Mims. 95 (at least) and no rain again. Was close, but no cigar. Bummer Largo and bills. So close yet so far away. Same here today. Tomorrow is another day. Good Tuesday Morning everyone!! it seems a change is coming more and more into this coming weekend, rain chances going up and if local met is right by sunday rain chances might be 70%,,we'll see how rhis plays out huh, meanwhile sprinklers on here lol...well have a great day everyone!! Oops. Work has blocked thunderboltweather as a "suspicious" website. I had to route through the weatherchatroom back door to get here. 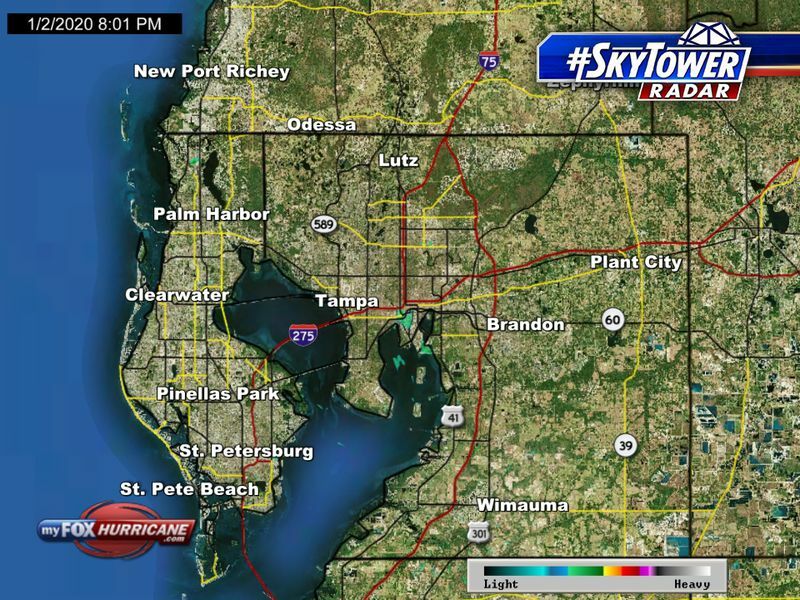 Very spotty showers around here -- I may have caught the edge of 1 for ~.05". 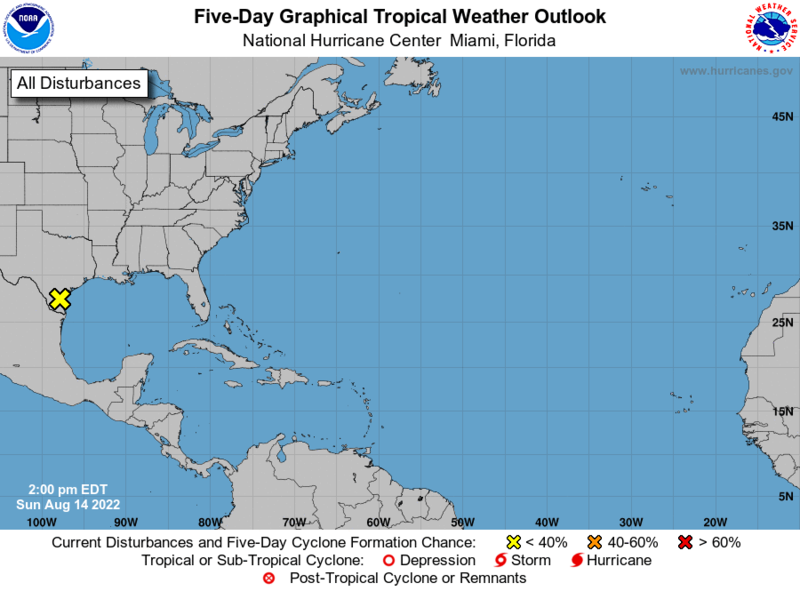 Rain chances seem to be looking higher the rest of this week and into next, but there appears to be some local disagreement on the pop numbers at this point. Been very hot and dry for the last week or so, and am holding off on the sprinklers as long as I can. Hope this pans out for some west coast rains. JRnOldsmar wrote: Oops. Work has blocked thunderboltweather as a "suspicious" website. I had to route through the weatherchatroom back door to get here. gee interesting the site blockage JR..all we post are weather related posts..pretty much anyway huh? frequent cloud to ground lightning can be expected. well almost 2:45 pm and no rain here by me yet..but Very Humid and hot once again. 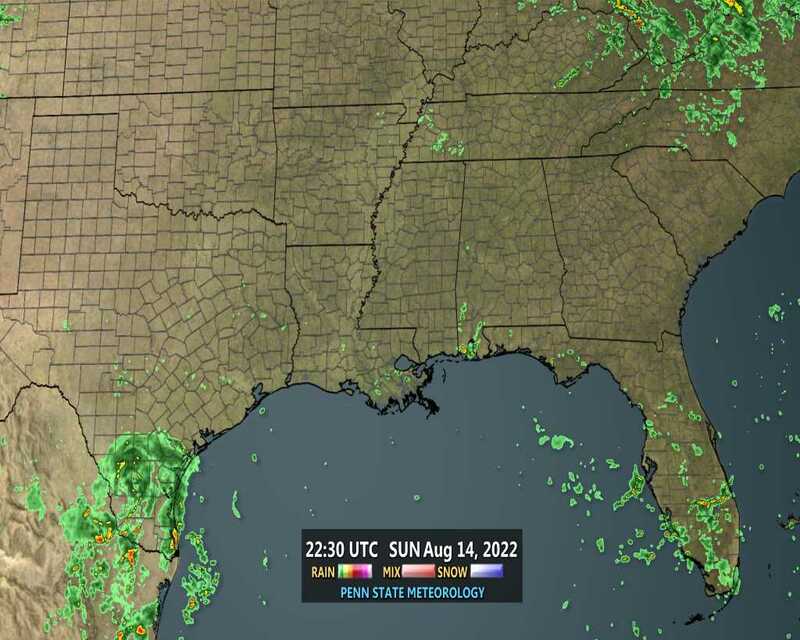 NWS for Saint Augustine FL..................................this Afternoon Showers and thunderstorms likely before 3pm, then showers likely and possibly a thunderstorm between 3pm and 4pm, then a chance of showers and thunderstorms after 4pm. Mostly cloudy, with a high near 90. Heat index values as high as 101. Southwest wind around 10 mph. Chance of precipitation is 60%. New rainfall amounts between a tenth and quarter of an inch, except higher amounts possible in thunderstorms.